This pair of 8 oz. 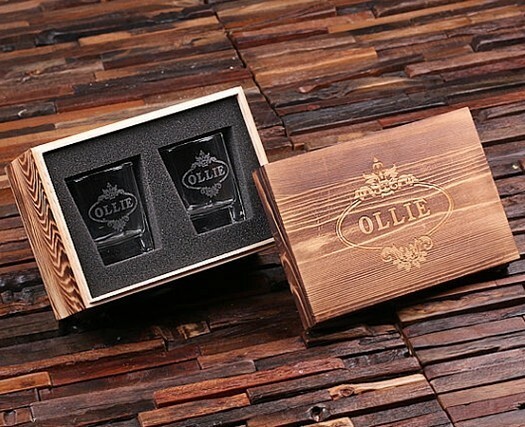 whiskey glasses and the wooden gift-box they come packaged in may be personalized with the recipient's name engraved inside the pictured oval with flourishes design. Sold as a set of two glasses and prices quoted below are per set. Better yet, this wonderful gift now enjoys FREE SHIPPING in the U.S.